At WAKIKI we understand the pace of everyday life. Hence, we have created multiple delivery time slots designed to cater for the busy schedules of our customers. All deliveries need to be signed for and recorded… in case the housemate eats it! 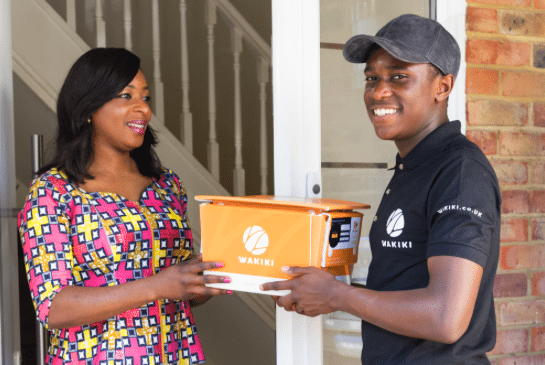 Expertly delivered 7 days of the week and 365 days of the year, WAKIKI presently covers London and all areas within the M25. WAKIKI orders are fulfilled within a 48-hour timeframe after the order has been placed. A two day lead time is required in order to ensure the ingredients for your order are freshly sourced and prepared. With this done, we rest assured you delivering your ‘pot-fresh’ meals speedily! Of course orders can be placed earlier than 2 days before expected delivery if required. Lock in your specially prepared WAKIKI request! Once you’ve made a decision on our selection, confirm, choose your date/time for delivery and make a payment. Food is delivered in specially engineered cooling/heat retention bespoke food boxes. Our packaging allows for your food to be stored out of the fridge for up to 24 hours after it has been prepared. A flat fee of £9.00 is charged if all of the orders are from a single vendor. A flat fee of £19.00 is charged if orders are from multiple (2-3) vendors. Our delivery charges remain the same regardless of quantity ordered and irrespective of the location of the customer’s address within our delivery radius (London & within the M25). We ensure you are able to track deliveries. Any delays or changes are immediately communicated to the customer. WAKIKI welcomes Debit Card or Credit Card payments only. You do have the option to save your payment details to speed things up for subsequent visits. Change of heart? You may cancel or change any of your orders up until 8 am the day before delivery, Monday to Friday. All cancellations need to be placed in writing sent an email to info@wakiki.co.uk or alternatively call the WAKIKI customer care team on 0203 217 0996. Start exploring our vast array of Africa and Caribbean cuisine! Let your curiosity get the best of you and sample, sample and sample as many dishes as you are able to on the WAKIKI website. 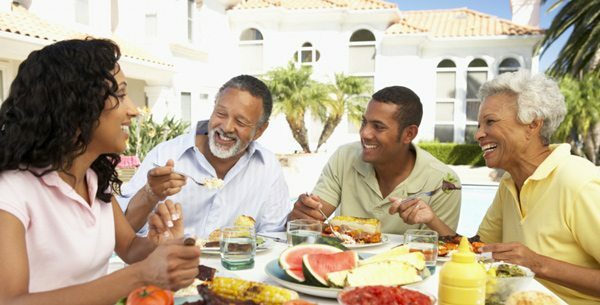 Better yet, share with others how excited and happy each dish made you and your loved ones!